Regardless of the platform your website is built on, there are always tools and software solutions that can help you keep track of your store’s performance, the actions of your users and their feedback and insights. These analytics come in very handy when you want to work on your sales, promotions and marketing strategies. This tool helps you understand why decisions are being made about your products, brand and service. By using this program, you can deliver customized content to users, you can engage with your users by adapting to actions they took on the website and it targets them based on how they landed on your website. All the findings can be easily shared with other members of your team in clean and powerful online reports. A really clever feature of Qualaroo is the advanced sentiment analysis, which keeps track of keywords and emotional scores. Based on this, you can work on creating a unique experience for your customers based on how they feel about your products. Qualaroo most popular features include behavioral targeting, geo & event targeting, identity targeting, exit surveys, design templates, lead generation form, reporting & design API and branching & skip logic. 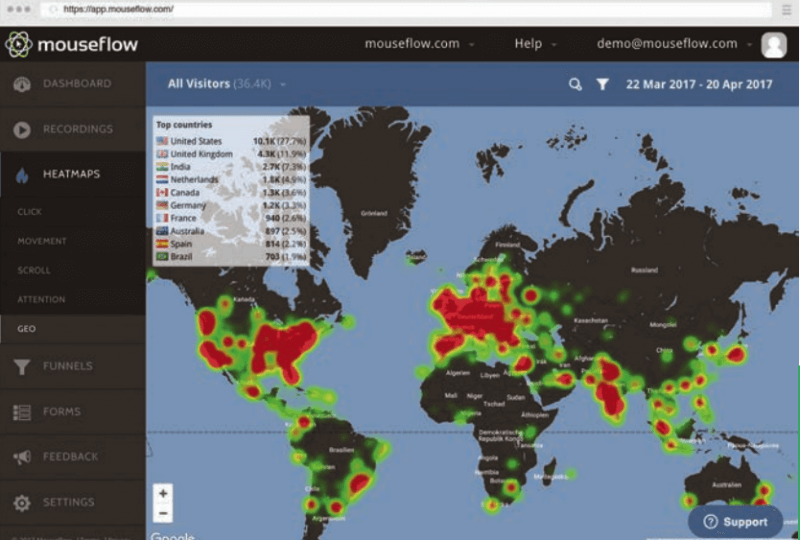 Mouseflow is a great tracking tool used for analyzing why users don’t convert to customers. As main features we can mention session replay (recordings), heatmaps (click, movement, scroll, attention, geography), funnels (tracks user navigation from page-to-page), form analytics (monitors how visitors interact with forms to identify which fields are problematic for the users) and user feedback (create custom surveys for specific audiences). 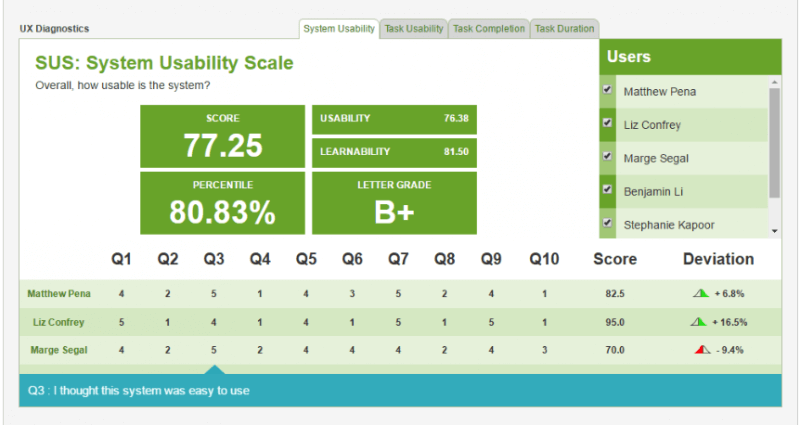 TryMyUI is a useful tool to test your users’ experiences on your website. The tests are customizable, so you’ll get feedback for exactly the things you need. Amongst its key features, we can point out remote user testing, mobile user testing, wireframe and prototype testing, impression testing, written survey, demographic curation, UX diagnosis and psychometrics. 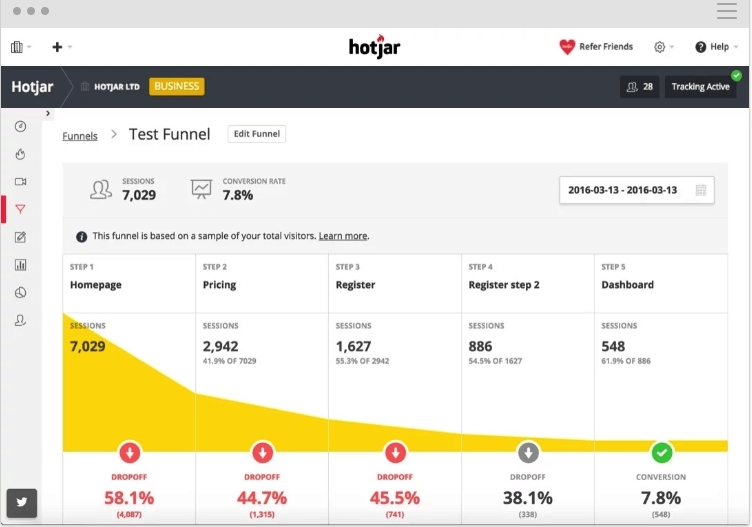 Hotjar is a powerful solution that helps you visualize data and customer behavior. What does it offer? Conversion funnels, recordings of drop offs, form analysis, feedback polls, visualize feedback and results, customizable widgets, surveys and heatmaps. Usabilla offers plenty of products for specific needs. Usabilla for Websites allows you to improve your user experience, save time and resources and increase your conversions. Your customers can leave feedback and based on the data you receive, you get specific answers you were looking for. 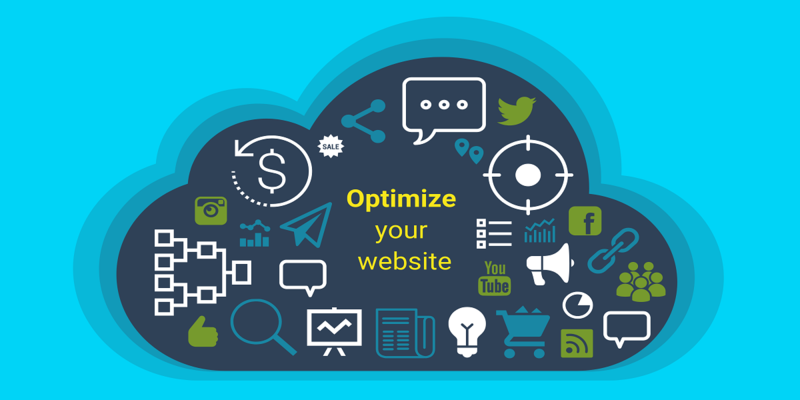 You eliminate guesswork and work on optimizing your website! By using this tool, you can analyze and understand what your users are doing on your website by using snapshots, recordings and A/B testing. You get data regarding page’s performance, heatmap, scrollmap, confetti report and overlay report. Test variations with A/B testing and automatically send traffic through your winning variants. Used mainly as a survey and feedback tool, UserReport works as an integrated part of your website or app and it allows you to directly interact with your users, learn about them and get their opinions on what you could improve. 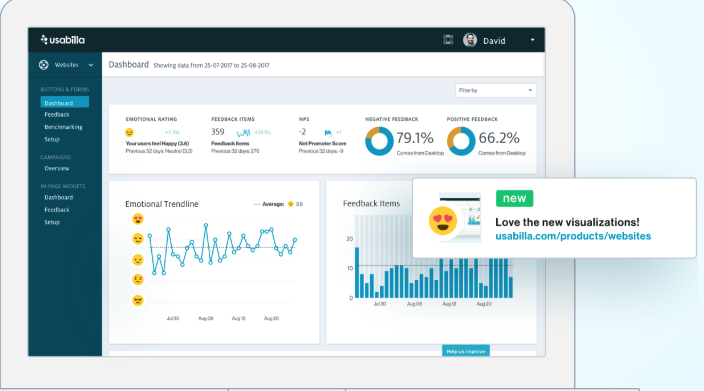 Free and easy to use, it integrates with Google Analytics, it uses a Net Promoter Score to show you where you could improve, it provides data about your users, it collects ideas and feedback from your customers and helps you prioritize the improvement tasks. If you’re looking to improve your user experience, don’t hesitate to contact our experts!